Seventeen years in the making, Pamela Tom’s film makes meticulous use of Tyrus Wong’s exquisite art, archival footage, illuminating interviews and commentary from Wong himself to document how his unique style, melding Chinese calligraphic and landscape influences with contemporary Western art, helped the Disney animated film, Bambi (1942) specifically, and early Hollywood in general establish their signature visual styles. The film makes a critical contribution to the documentary tradition and to American society in correcting a historical wrong by spotlighting this seminal, but heretofore under-credited figure. 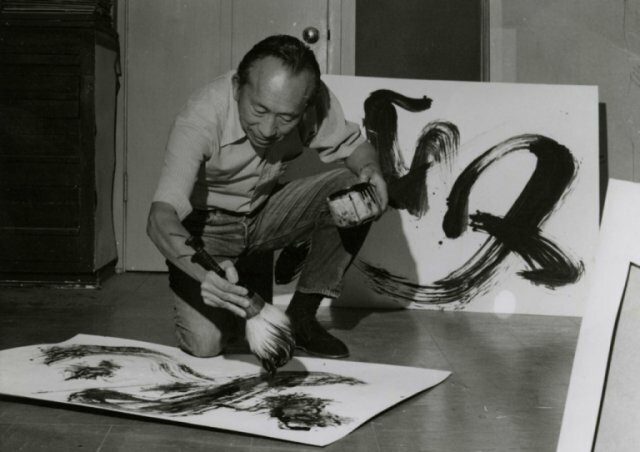 TYRUS is the first in-depth portrait of the art, life and enduring impact of Tyrus Wong. The film takes the audience on a remarkable journey – from his birthplace of Guangzhou, China in 1910 to the boarding houses of LA’s old Chinatown and the studios of the Golden Age of Hollywood. The film explores his formative years as a young WPA artist and the influence of Sung Dynasty art on his work. At 105, Tyrus continued to live the life of an artist, still vibrant, flying his magnificent creations high above the Pacific Ocean – the same waters he crossed as a young boy over 95 years ago.